The Numark Mixtrack DJ MIDI controller is upgraded this year with a third generation of standard and Pro models. Numark introduces at NAMM 2015 the third generation of its NS7 MIDI controller for DJ, which now works with Serato DJ software. The Numark iDJ Pro DJ controller with built-in iPad dock, is now compatible with the latest generations of Apple tablets. We’re only a few days from Summer NAMM, and Numark introduces its brand new NV surface control for DJ. Along with the ultra thin Edge version, Numark introduces at Musikmesse the Mixtrack Quad DJ MIDI controller. 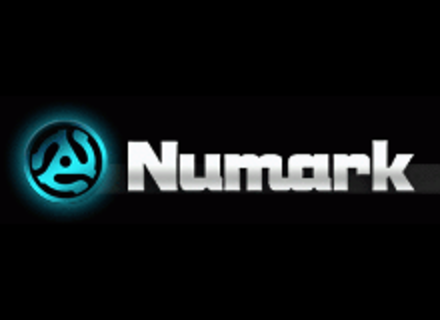 Numark announces at NAMM 2013 the launch of the NS7 II, Mixtrack Pro II, Mixtrack II DJ and iDJ Live II controllers. Watch this demonstration of the Orbit wireless effect controller from the Numark booth at NAMM 2013. Numark showcases at NAMM 2013 the first wireless handheld DJ controller tailored for live performance, called Orbit.